TripAdvisor is the go-to place for honest, independent views when you come to spend your hard-earned cash, so for a business to make their Hall of Fame is really something to celebrate. That's just where the people of the UK have put Center Parcs - while the firm's Aqua Sana brand also received a Certificate of Excellence for consistently positive reviews. 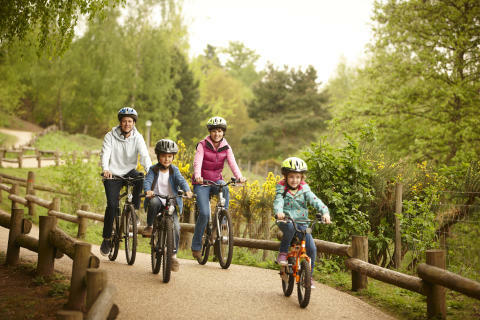 Center Parcs has put guest views and opinion at the heart of everything it's done for almost three decades, so it’s safe to say that the Nottinghamshire-based company were thrilled with the success. The forest short break company - with sites in Nottinghamshire, Suffolk, Wiltshire, Cumbria and Bedfordshire - isn't alone in embracing feedback on review sites like TripAdvisor and its own social media channels. The firm's responsiveness to these opinions is what CEO Martin Dalby feels has made Center Parcs the successful brand it is now. Approximately 90% of Center Parcs guests and spa visitors rate the experience as excellent or good meaning 28 years of innovation and evolution whilst staying true to the brand ethos have been very well received by guests at all Villages.